Fortekor 5mg Tablets are for the treatment of congestive heart failure in dogs. 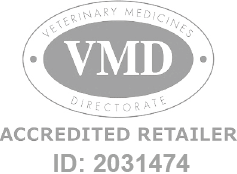 Fortekor Flavour Tablets - 5mg is a Prescription Only Veterinary Medicine and by law requires a prescription from your vet. Fortekor Tablets are used in the treatment of mild, moderate, and severe congestive heart failure in dogs. Fortekor lowers the blood pressure and loading pressure on the heart by reducing the constriction of both arteries and the veins. This minimises resistance of constriction, enabling the heart to function with greater efficiency and provide oxygen and nutrition to internal organs with greater ease. In cats with chronic renal insufficiency, Fortekor reduces the protein loss in urine and lowers the systemic and intraglomerular blood pressure. When given as directed by your vet, the active ingredient, leads to significant extensions of the life span of dogs. Improvements are also noted in clinical signs, such as the reduction of coughing and breathlessness, leading to a better quality of life for your pet. Fortekor 5mg Tablets are manufactured by Novartis Animal Health and developed specifically for dogs. As such, they must never be used in other animals.